Grooming and dozing off amongst the tall grasses and dried wildflowers. 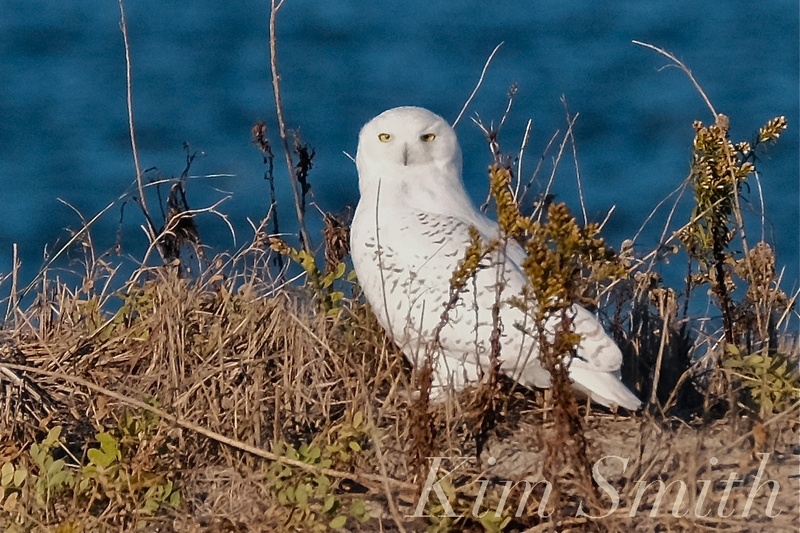 This entry was posted in Birds, Birds of New England, Life at the Edge of the Sea, Snowy Owls and tagged beautiful Birds of Massachusetts, Bubo scandiacus, Massachusetts, Snowy Olw male, Snowy Owl on November 8, 2018 by Kim Smith. Over the winter, we got a sneak preview at a Good Morning Gloucester podcast of Alice’s wonderful and whimsical illustrations for her Saint Peter’s Fiesta children’s book. 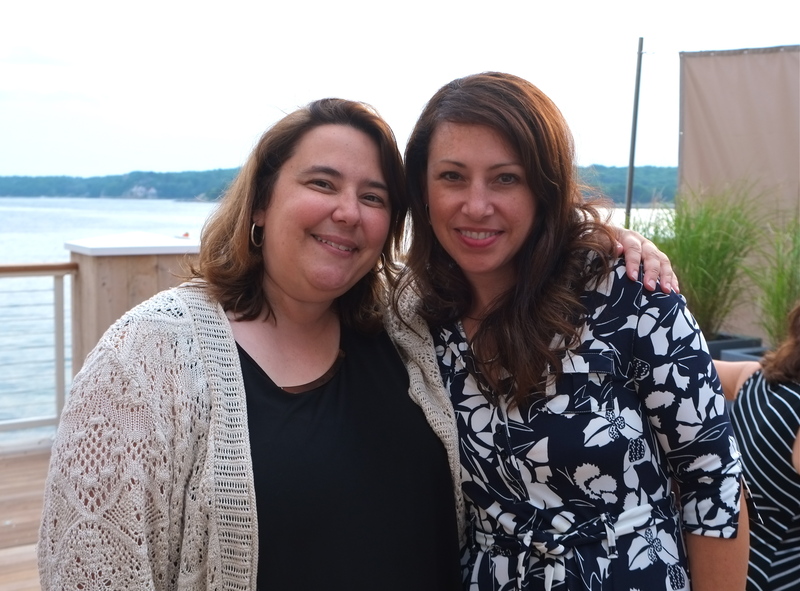 St. Peter’s Fiesta Gloucester, Massachusetts has been published just in time for Fiesta. Even without baby granddaughter Charlotte on the way, we would cherish a copy of this delightful book. I cannot wait to purchase ours. located at 61 Main Street (978-281-1548). 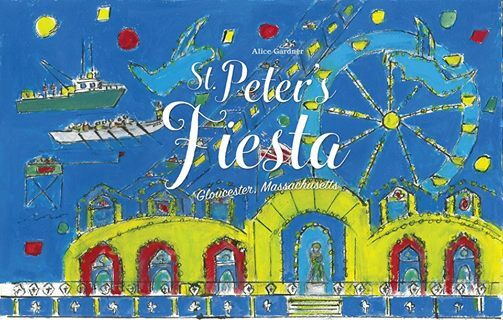 When at The Bookstore, be sure to check out Alice’s illustrations for St. Peter’s Fiesta Gloucester, Massachusetts. They are framed and on display. Each year Alice is the featured artist at The Bookstore during the month of June for her many paintings over the years of Fiesta. Please join us for Alice Gardner’s BEAUTIFUL St. Peter’s Fiesta children’s picture book launch party! The daughter of the founder of St. Peter’s Fiesta will be reading the book. Details below. Mark your calendars! Please share! Please join us for the debut of St. Peter’s Fiesta, a beautiful children’s book by artist and author Alice Gardner, commemorating our favorite time of year. Sara Favazza has graciously offered to read the book to all those, young and old, who love St. Peter’s Fiesta! 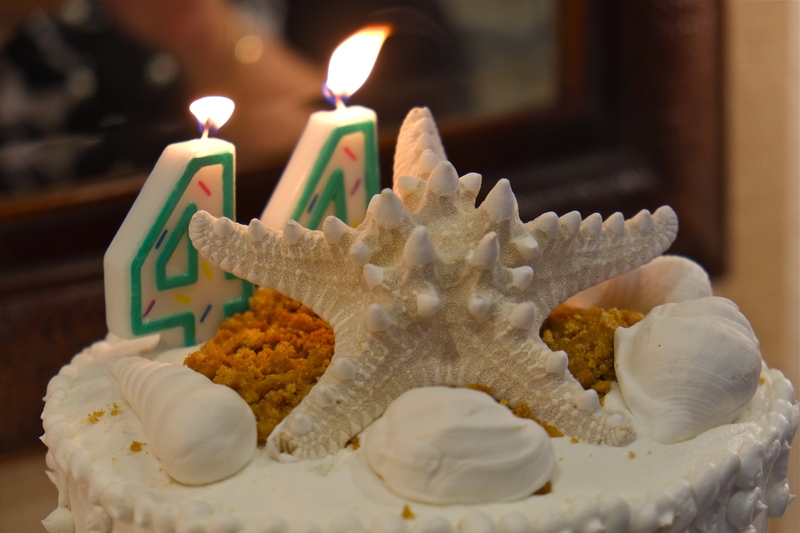 Sara is the daughter of Salvatore Favazza, the Gloucester sea captain who founded Fiesta in 1927 to thank Saint Peter for keeping the fishermen safe. Preceding the reading, there will be special activities for children. Following the reading, please stay for the book signing outside in the garden where refreshments will be served. This entry was posted in Saint Peter's Fiesta, Saint Peter's Fiesta Gloucester and tagged Alice Gardner, Massachusetts, St. Peter’s Fiesta children’s book, St. peter’s Fiesta Gloucester on June 10, 2017 by Kim Smith. 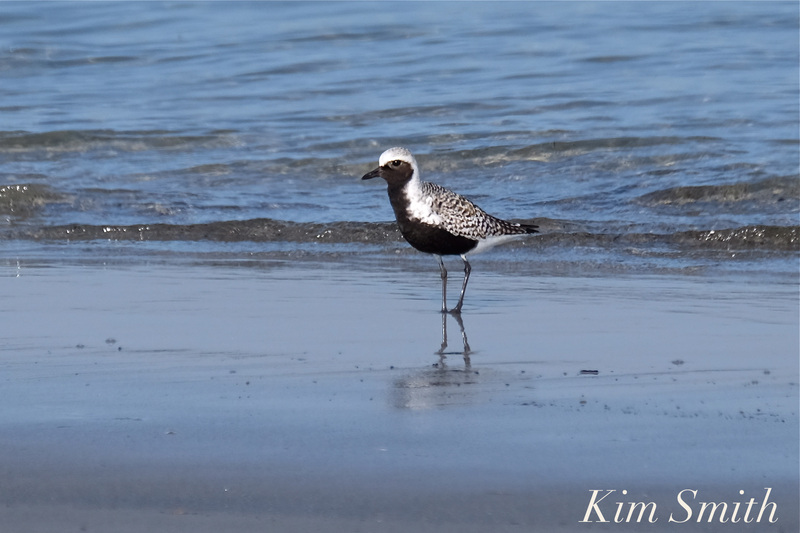 With many thanks to Paul St. Germain, president of the Thacher Island Association, for information about the ongoing restoration of shorebirds on Thacher Island. This entry was posted in Birds, Birds of New England, Life at the Edge of the Sea and tagged 1918 Migratory Bird Treaty Act, altricial, Beautiful Birds of Cape Ann, birds of Massachusetts, birds of new england, Common Tern, Common Tern fledgling, Common Terns learning to fish, Great Black-backed Gulls, Herring Gulls, House Finch, Massachusetts, Parker River National Wildlife Refuge, Paul St Germain, Piping Plover, precocial, Sea Swallows, semi-precocial, Species of Special Concern, Sterna hirundo, swallows of the sea, Thacher Island, U.S. 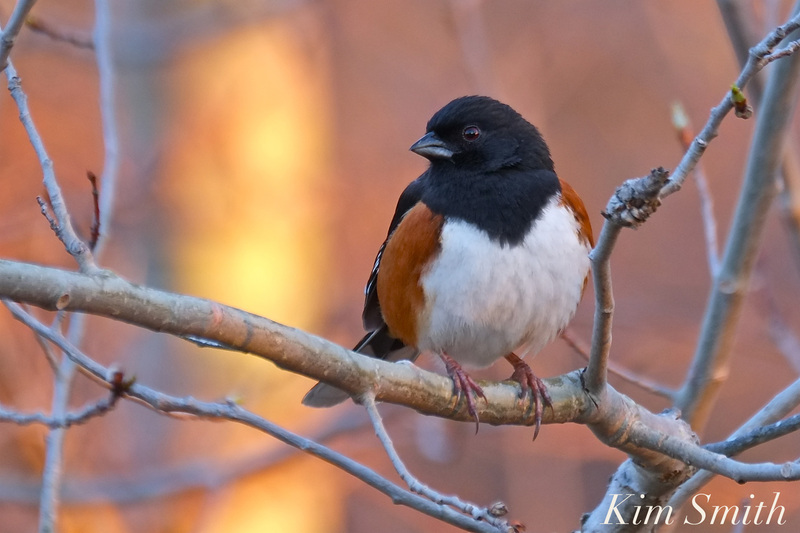 Fish and Wildlife Service on February 16, 2017 by Kim Smith. Happy Birthday Ann Margaret Ferrante! 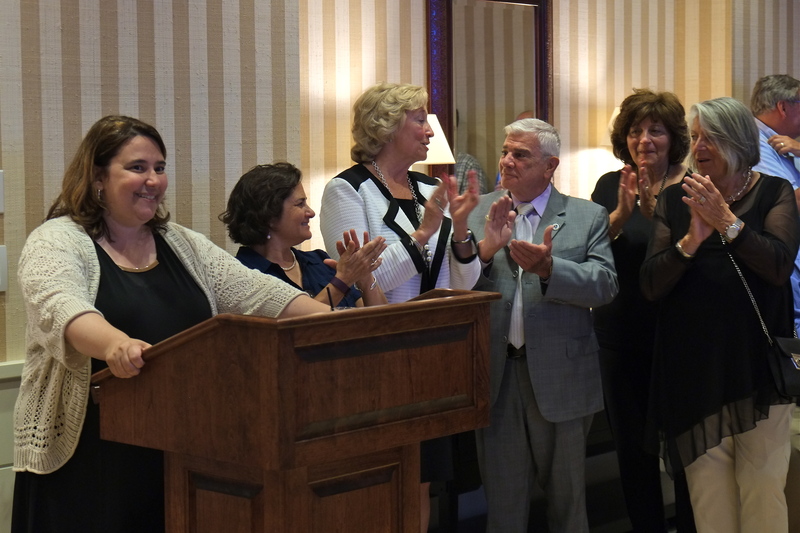 We are so fortunate to have House Representative Ann Margaret Ferrante working on behalf of our region, and all of Massachusetts. Brilliant, hard working, compassionate, well respected by her colleagues, budget conscious, and just an overall kind and huge hearted person. 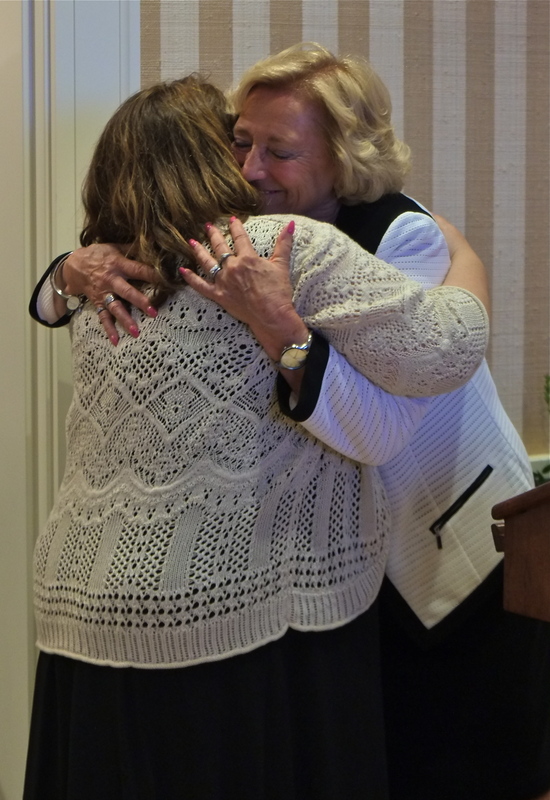 A heartfelt thank you to Ann Margaret for all that she accomplishes for our community. Happiest of birthdays to Ann! 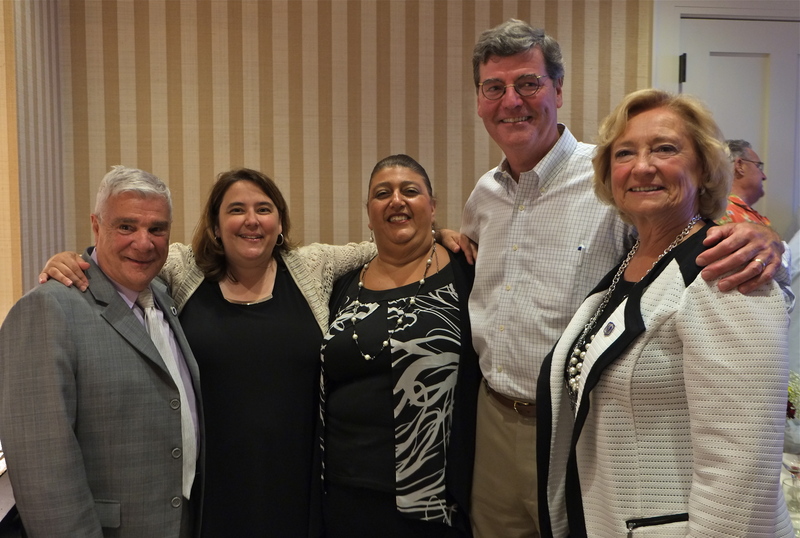 Our House Representative Ann Margaret Ferrante keeping jobs in Massachusetts by protecting the film tax credit! 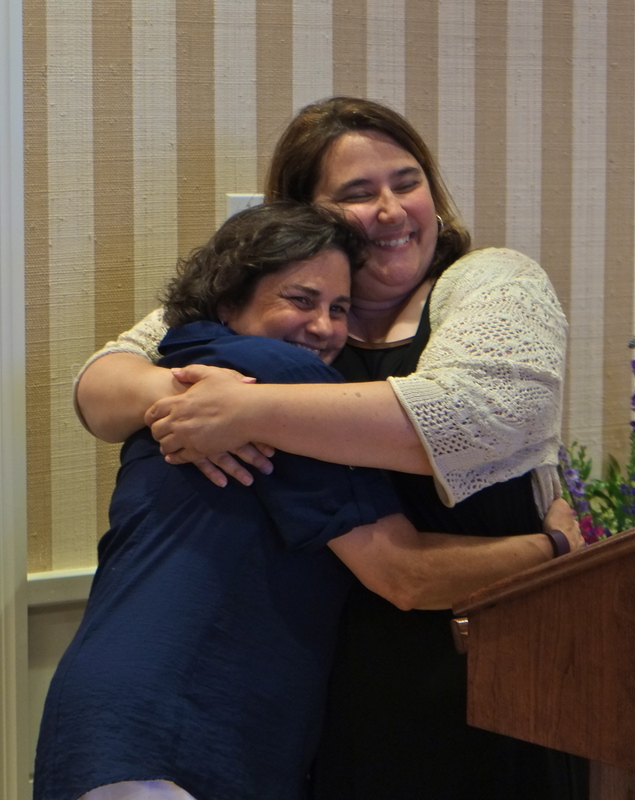 This entry was posted in Gloucester and tagged beauport hotel, Gloucester, House Representative Ann Margaret Ferrante, Massachusetts on July 26, 2016 by Kim Smith. 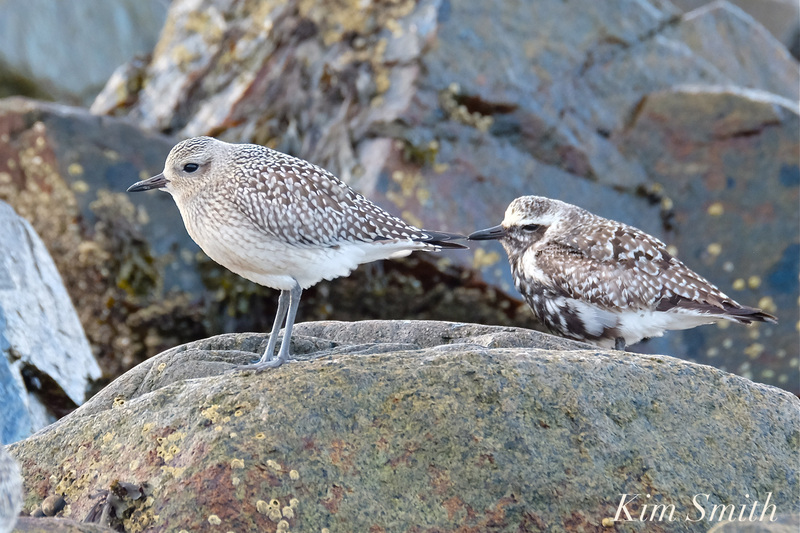 After spending the past eight weeks filming the sparrow-sized Piping Plovers, it was fun to unexpectedly encounter these tubby Common Tern fledglings. 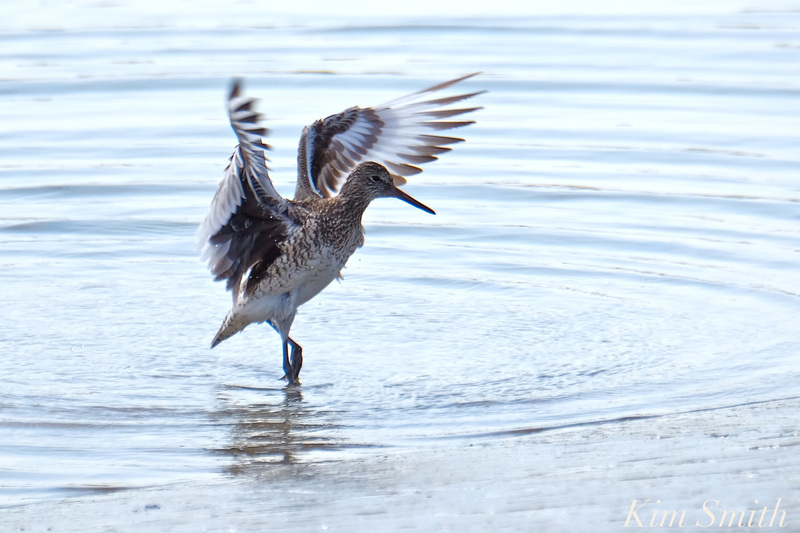 Although able to fly, they stood at the water’s edge, unrelentingly demanding to be fed. The adults willingly obliged. 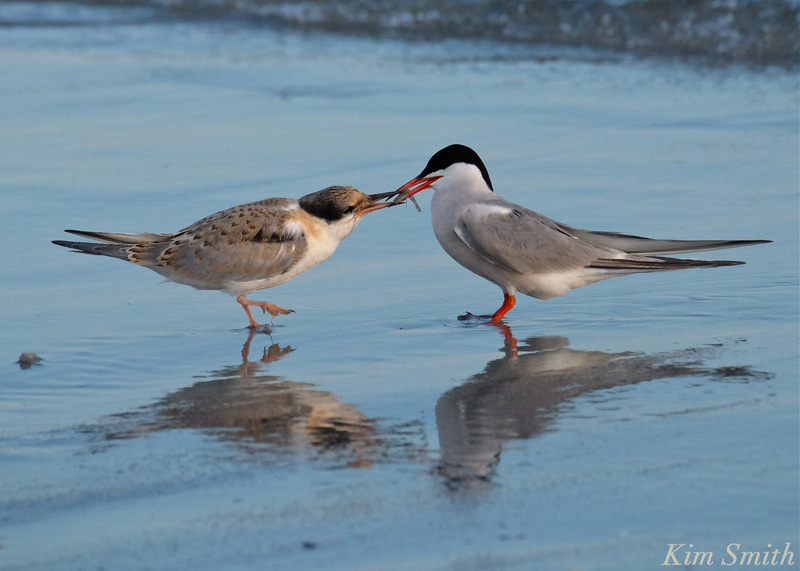 Unlike plovers, which can feed themselves within hours after hatching (the term is precocial), tern fledglings are semi-precocial, which means they are somewhat mobile at hatching but remain and are fed by their parents. 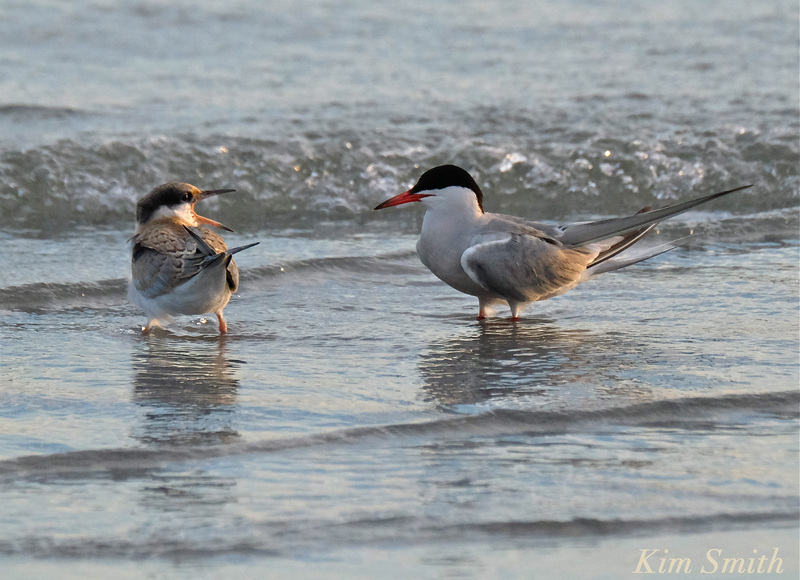 Terns and gulls are semi-precocial. The fledglings appear larger than the adults and are very well fed. Both parents feed their young. 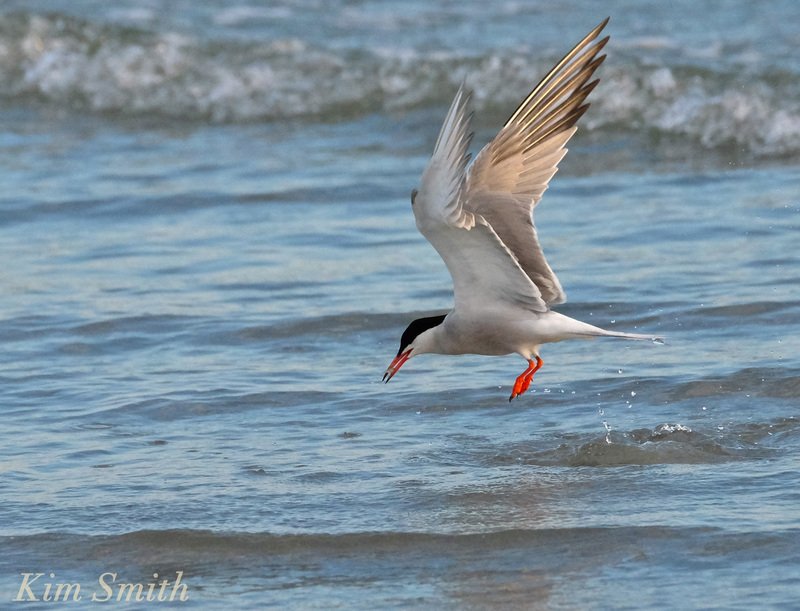 The terns are building fat reserves for the long migration to the South American tropical coasts, some traveling as far as Peru and Argentina. 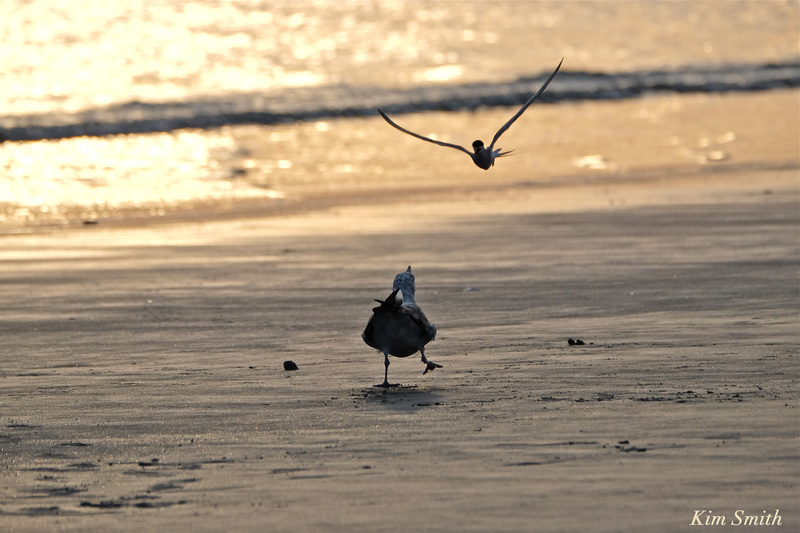 Although unperturbed by my presence, they sure did not like the seagulls. 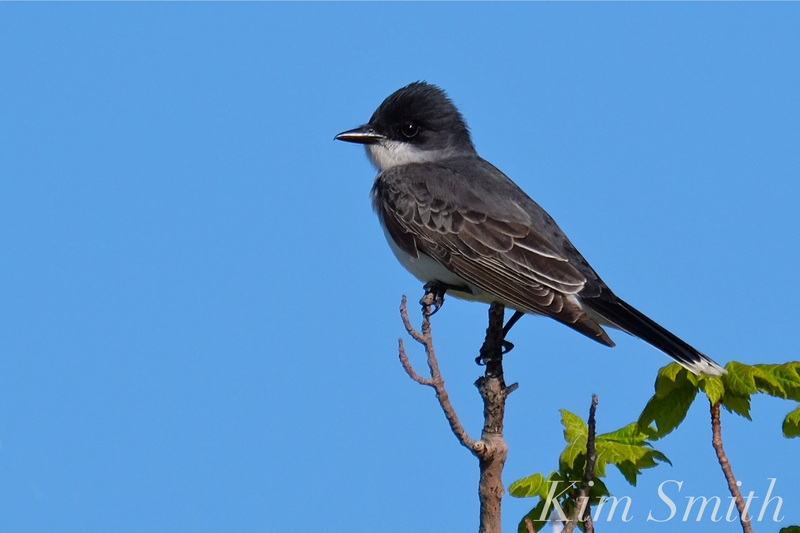 Any that ventured near the fledglings feeding were told in the most cheekiest of terms to buzz off–dive bombing, nipping, and nonstop loudly squawking–the intruder did not stick around for very long. 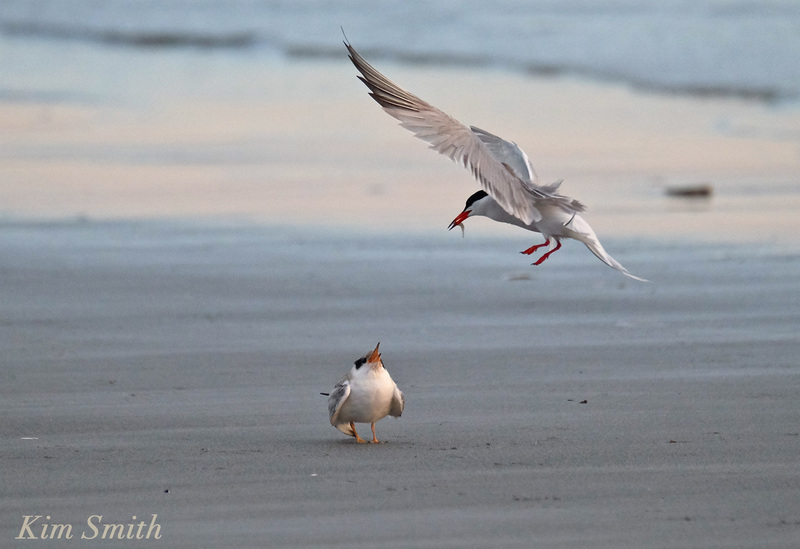 Common Tern populations are in decline, most probably because of pesticide poisoning and habitat loss. 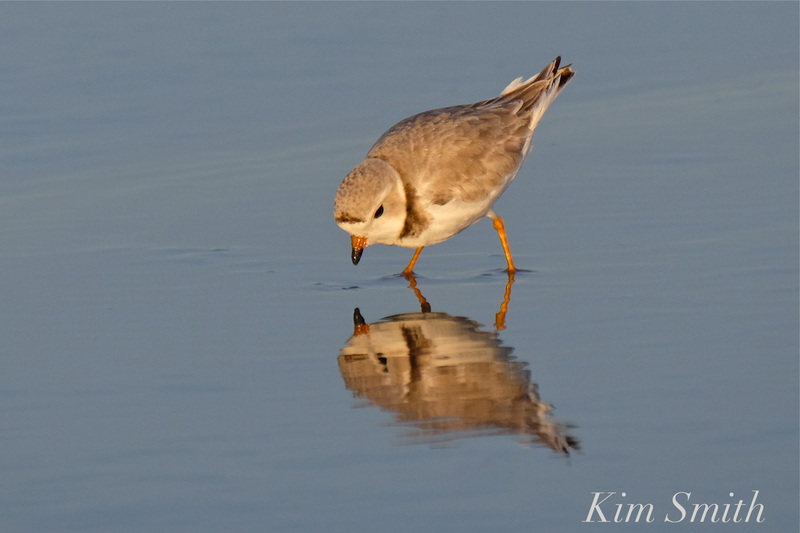 This entry was posted in Birds, Birds of New England and tagged Beautiful Birds of Cape Ann, birds of Massachusetts, birds of new england, Common Tern, Common Tern fledgling, Massachusetts, shore birds, Sterna hirundo on July 20, 2016 by Kim Smith.